What are the hardest aspects of running your self-managed super fund (SMSF)? Do they include keeping track of the seemingly-constant regulatory changes, handling the impact of those changes, choosing investments or handling your fund's paperwork and administration? If you name dealing with the changing regulations and choosing investments as your two hardest jobs, you are among hundreds of thousands of other SMSF trustees. Alternatively, you may find yourself in the fortunate position of considering there are no hard aspects of running your SMSF. Keeping track of changes in rules and regulations (27 per cent). Choosing investments (26 per cent). Handling paperwork and administration (18 per cent). Understanding regulatory changes (17 per cent). Paying for accounting fees and charges (16 per cent). Finding time to research investments (13 per cent). Having concerns that other fund members cannot manage my SMSF if I'm unable to do so (10 per cent). Finding time to plan and review for my SMSF (9 per cent). Interestingly, more than quarter of SMSF trustees do not find any aspect of running their fund hard. The findings that many SMSF trustees have difficulty choosing investments and in dealing with regulatory change partly explain another finding from the survey that a large proportion of SMSFs recognise that they have unmet needs for professional advice. Investment Trends estimates that 276,000 SMSFs – out of 593,000 funds in existence at the time of the survey – have unmet needs for advice. By placing responses into clusters of similar types of advice, the researchers estimate that 136,000 SMSFs have broad unmet needs for advice on tax and super,128,000 for advice on investment selection and 110,000 for advice on post-retirement planning. 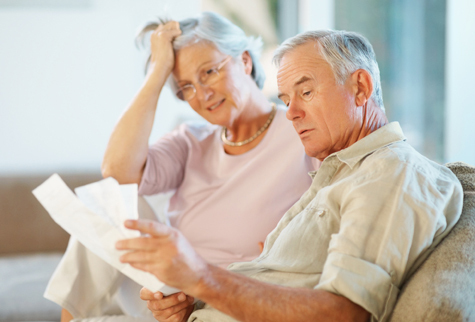 An estimated 77,000 funds have an unmet need for advice specifically on inheritance and estate planning, which falls under the broader category of post-retirement planning. The survey responses may prompt SMSF trustees to think more about what aspects of running their funds are the toughest, given their circumstances. And then to logically plan what they are going to do about it. Next week: Why SMSF trustees want estate-planning advice.